The five suspects in Nhaveen's murder case are being investigated for another assault that allegedly happened last month. The 18-year-old was savagely beaten up and sodomised with an unnamed object by a group of teenagers on 10 June. 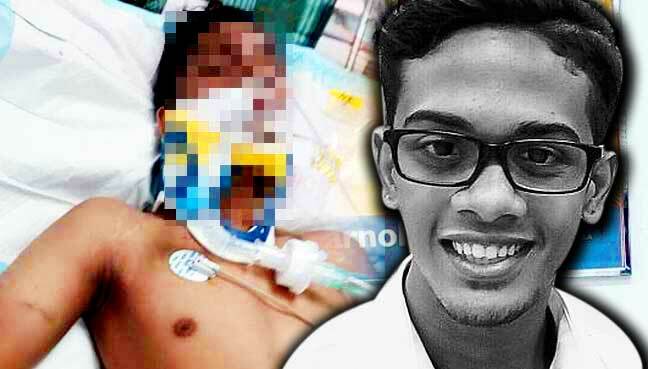 He was declared 'brain dead' soon after the assault happened, and eventually succumbed to his injuries at the Penang Hospital yesterday. Five suspects aged 16 to 18 were detained by the police to assist in investigations. Following Nhaveen's death, the police have reclassified the case as murder, which carries a mandatory death sentence under Section 302 of the Penal Code. The case was previously classified under the Section 148 of the Penal Code for rioting with weapons and Section 377CA of the Penal Code which criminalises the sexual connection by object. A 19-year-old boy has claimed that he was a victim of assault and extortion by the same group of teens who attacked Nhaveen. The incident happened on 5 May when the teen, who was working at a convenience store as a cashier, was beaten and blackmailed in Jelutong, Penang. The teen sustained swellings on the body after he was beaten up during the incident. The victim had lodged a police report but retracted it three hours later. "The teen who worked in a 24-hour convenience store lodged a police report after he was beaten and blackmailed by the five, including the two students. However, the victim withdrew the report refusing to prolong the case," he was quoted as saying by Bernama. 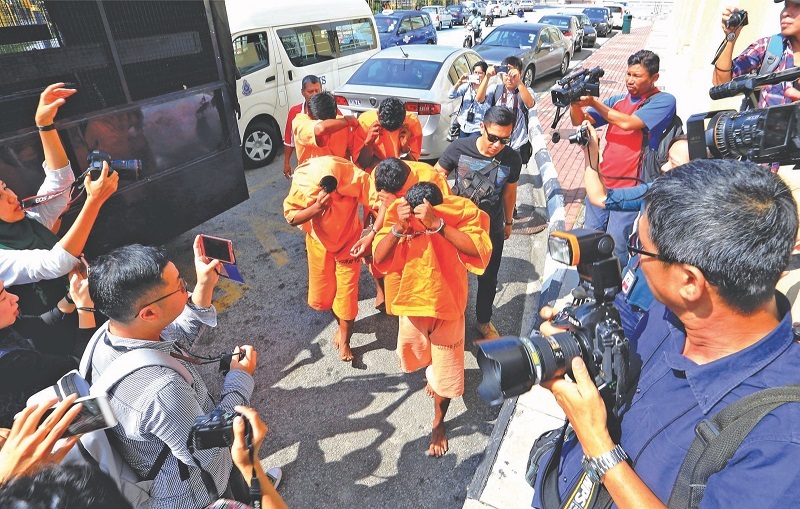 Two suspects who were arrested in connection with Nhaveen's case were re-arrested yesterday, 15 June, to facilitate investigations into this new case, while the three other suspects whose remand will end today, 16 June, will be re-arrested as well. The police are investigating the case under Section 147 of the Penal Code for rioting and Section 385 for putting a person in fear of injury in order to commit extortion.